Play Shooting Stars online for free now! Who isn't fascinated when looking at the night sky with thousands of sparkling stars? 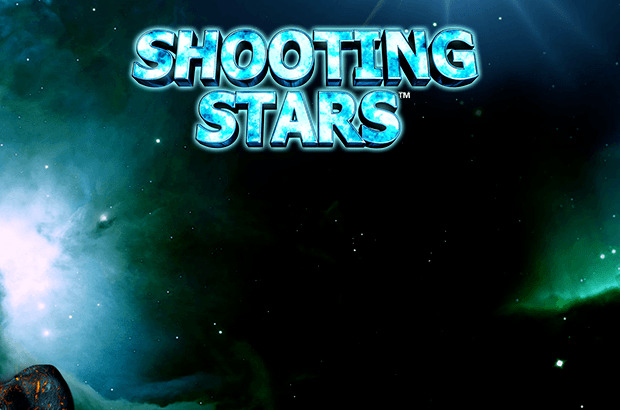 Shooting Stars brings this fascination to your screen and gets Twists for your player account: Galaxies full of blue and red giant stars, ring planets and comets await you here - and with a little luck you will also get the Shooting-Star-Bonus, which will let the blue star grow indefinitely as well as your winnings! Your aim at Shooting Stars is to land 5 matching symbols on up to 10 win lines. 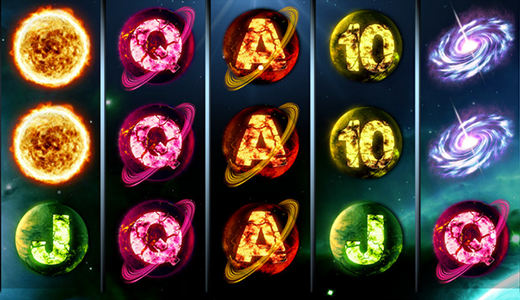 Winning combinations can start anywhere on the reels and are valid from left to right as well as right to left. To win the winning combinations cannot be interrupted by other symbols. The blue star is the Wild symbol and replaces all the other symbols in the game but it only lands on reels 2, 3 and 4. If at least one blue star appears on the above-mentioned reels it also triggers the Shooting-Star-Bonus.